Hi, and welcome to Terra Cotta Pendants! 🙂 There’s a LOT of stuff on the site and we don’t want you to miss anything that may be relevant to you. Check out the list and click on any link that interests you. 2) The Affiliate Program! If you have a blog or a business relating to essential oils, you can earn 15% commission on customers who through that link to our site and place orders! Read details here and sign up here! We’d love to have you on Team TCP! 3) How to Buy at Wholesale Prices. The price break is at 20 pieces. Details here! 11) New stuff! Get the latest here! 12) Our Story – read about the family behind Terra Cotta Pendants. 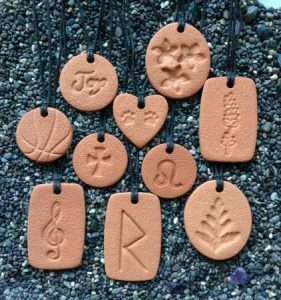 13) Testimonials – what are others saying about Terra Cotta Pendants? 14) The TCP Blog! With fresh content all the time!